Free virtual events for classrooms around the world with leading scientists, explorers, adventurers and conservationists. Exploring by the Seat of Your Pants brings science, exploration, adventure and conservation into classrooms everywhere through virtual speakers and field trips. Since launching in September 2015, we've run over 700 free Google Hangout and YouTube Live events connecting over a hundred thousand students with leading scientists and explorers in over 50 countries! 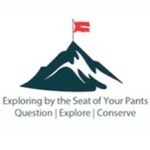 Exploring By The Seat Of Your Pants aims to inspire the next generation of scientists, explorers, and conservationists. We do this by bringing science, exploration, adventure and conservation into classrooms everywhere through virtual guest speakers and field trips with leading experts across the globe. Since starting in September 2015 we've connected over a hundred thousand students to scientists and explorers in over 50 countries. Best part of all, it is and always will be 100% free for classrooms! - Each month during the school year we host 20-50 Google Hangout events for classrooms. - ​We regularly host full day, week and month events focusing on themes like oceans, biodiversity, women in science, space exploration and more. - We send textbook sized satellite BGAN units around the world with scientists and explorers so they can video broadcast into classrooms from the most remote regions of the planet. So far we've sent units to the Bahamas, Peru, Belize, Colombia, Vietnam, Botswana, Mozambique, French Polynesia, Guatemala, Uganda, the Congo, Borneo, Kiribati, Honduras and Clipperton Atoll. - ​Follow and connect with exciting expeditions before, during and upon completion. - Last year we were able to donate over $15,000 to innovative research, expedition and conservation projects around the world. 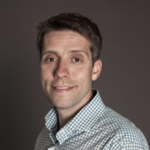 - Founded Explorer Classroom with National Geographic Education, connecting their explorers and grantees to classrooms. - We've just launched Exploring by the Seat of Your Pants GMT (Greenwich Mean Time) to reach classrooms in the United Kingdom, European Union and Africa. Each month we'll be hosting a series of events, the number of which will increase as the community grows!